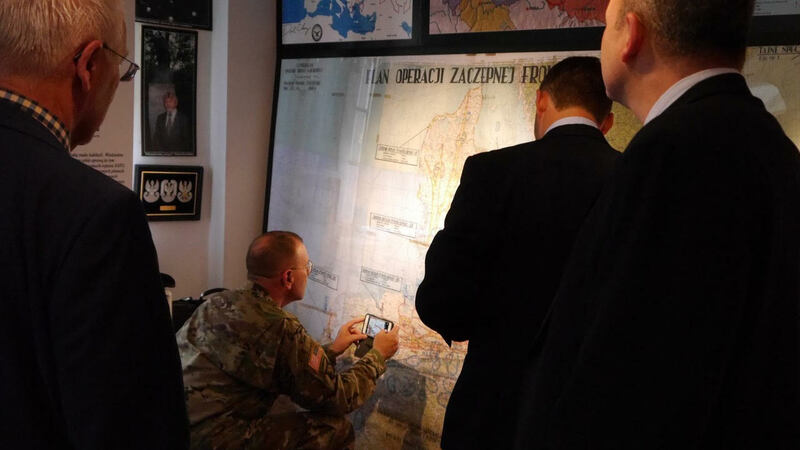 The general knelt before the map, in witness to the sacrifice of Polish and American soldiers. 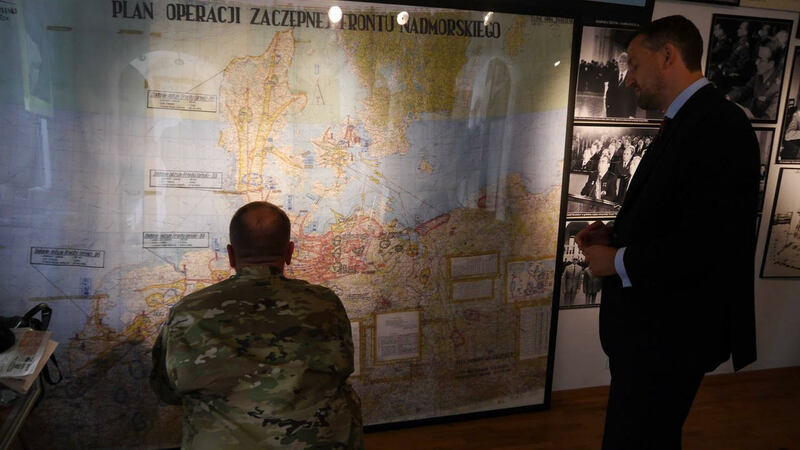 While he knew of the Soviet Union’s offensive plans, Hodges had never seen this Warsaw Pact map detailing specific targets. If the attack had materialized, Hodges would have been one of its victims, as an American soldier stationed at Garlstedt in Germany in the 1980s – a target for Soviet nuclear missiles. 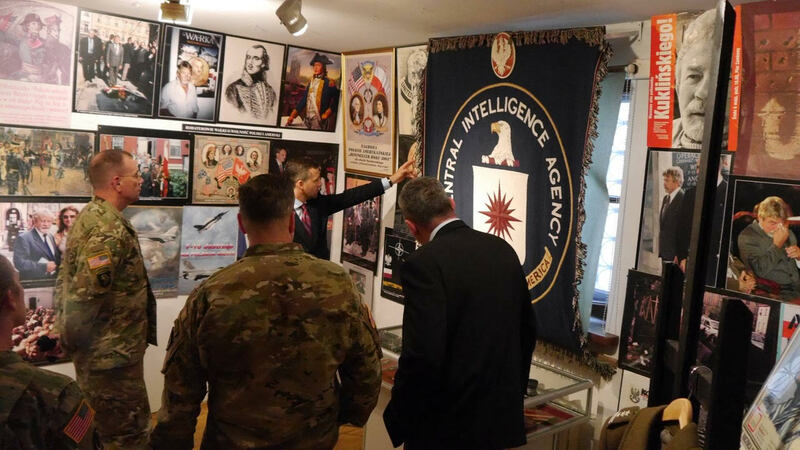 Hodges also stared in disbelief at the signature of Wojciech Jaruzelski, affirming Poland’s part in the Soviet offensive. 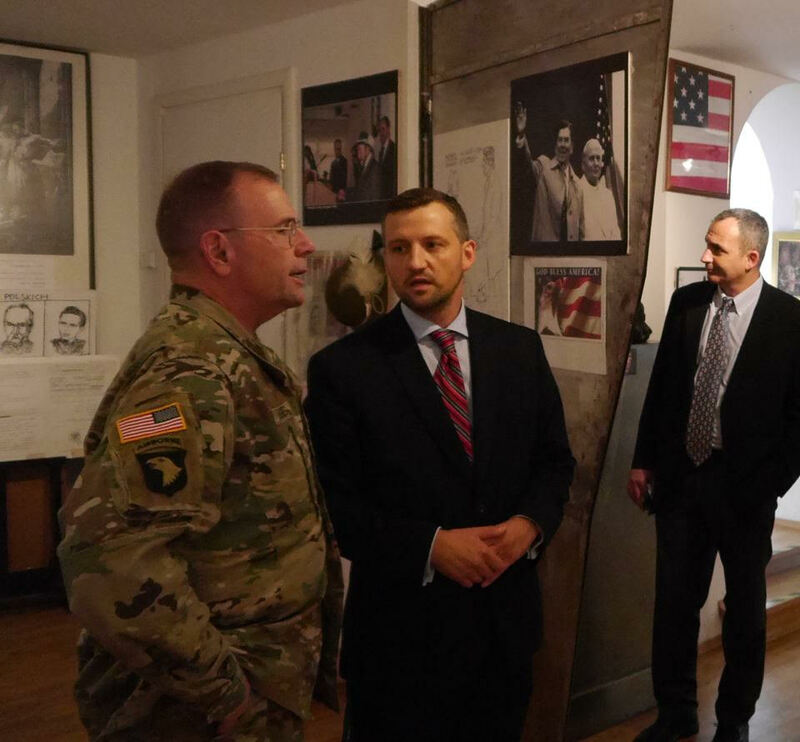 The general drew attention to the museum having been founded by the last political prisoner of the Polish People’s Republic, Professor Józef Szaniawski, who was convicted in 1985 based on false accusations of cooperating with American intelligence, and sentenced to 10 years imprisonment.